A second tutorial blog as a subdivision of Brightlight Mandalas. This one shows how to create a flower mandala. 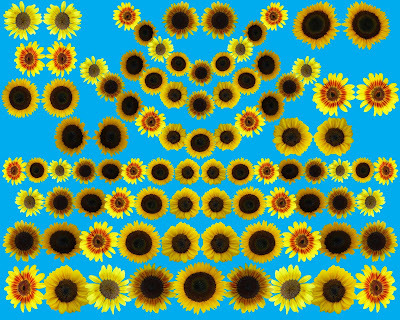 I am currently working on sunflower designs. I want to share with you the way I organize my design files. 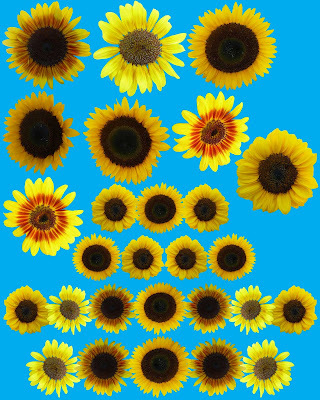 I start by creating a new folder such as Sunflowers. I then create a sub folder labeled extractions. I will further subdivide that into flowers and foliage. I will add other folders for: mandalas, backgrounds, elements, for design, borders, composites, and arrays. I then create design pages starting with single blossoms, then paired flowers, lines, arcs and other combinations. By bringing up these pages in Photoshop while creating a mandala or array, I can simply drag the elements I need into the page I am working on. 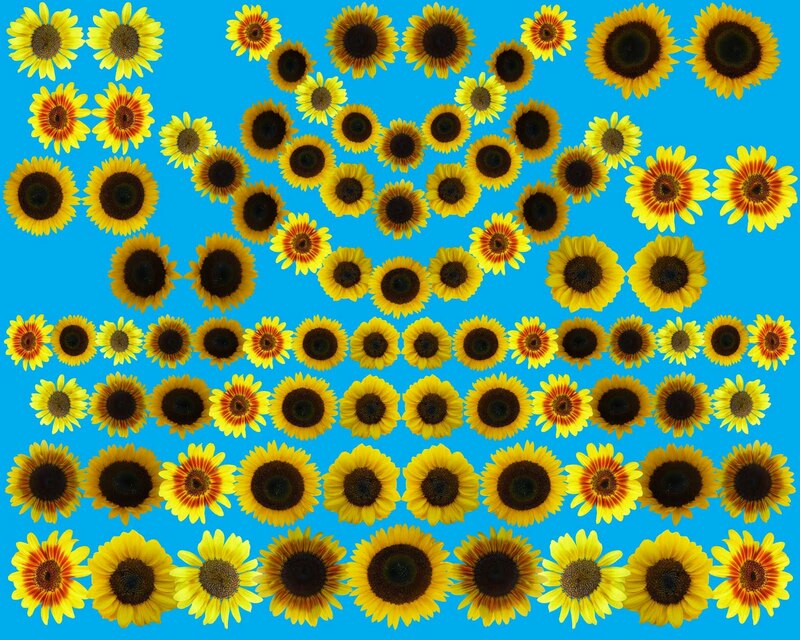 Here are pages I have created for working with the sunflowers. The first one shows the 7 flower extracts I started with. Everything else has been created by combininng them. By the time I am done, I will problay have another design page of flower elements and one or two pages of foliage elements. I am currently using a 1TB external hardrive for backing up my images, but I also have most designs on disc. I find that CD's are not sufficient, so I use DVD RW's to store on disc. Being organized in storing files is important as you start expanding your inventory. I am constantly going back and taking elements from old designs to create new ones. That is the beauty of digital technology, but it makes it imperative to be able to find things when needed. If anyone has tips to share, I will gladly post them here. This is the second of two blogs I have created to demonstrate the process of creating digital mandalas. The impulse to share is a strong one for me. As soon as I learn how to do something, I want to share it with others. I have been having so much fun with digital art, that I would like to help others experience the satisfaction that comes from this creative medium. If you are new to blogs, scroll down to the original (oldest) post to start at step one.